Well I'm beginning to think it really pays to write a blog! This book just happened to be The Handmaid's Tale. Which only happens to be a book I had previously mentioned here as being one I hadn't yet read. My friend had been reading my blog. (I don't know what I was more excited about, the book or this knowledge!) Anyway, she was horrified to hear that I hadn't yet read this book, so had hastened to the shops in order to rectify this terrible discrepancy. Which I am very grateful for...and I literally can't wait to read it. 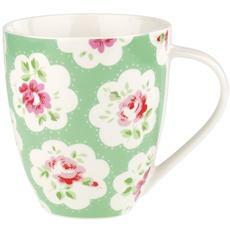 We are also very proud owners of some lush new Cath Kidston mugs. I can't get pictures of all of them, here are just a couple. They are absolutely gorgeous, and I really think the tea tastes even better in them. Another thing about living abroad is that you miss that network of friends that you usually rely upon so heavily. Girls to gossip with, go shopping with, laugh and chat with. They are one step removed from me now, our communication now relies on Skype chats and weekend catch-up trips. When we do catch up there are always more important things to talk about than clothes and make up (hang on a minute...did I really just say that!). And I miss it. So I have to look elsewhere for styling and make-up advice. Preferably not to the husband, although he doesn't do too bad a job, it's just that not all his commentary is entirely welcomed. That's why I am loving Sali Hughes Beauty column at the moment. She's like the big sister I never had, going back to basics on so many subjects, and she has a lot of helpful words of advice. Many of the readers comments are pretty useful too. And this is how I came to choose Maybelline's The Falsies mascara. Mascara...possibly the single most important item in my cosmetics bag. I literally can't live without it. On the days I go mascara-free, it's usually a conscious decision because I am trying to elicit sympathy. People will always tell me I look ill if I'm not wearing mascara! Sad but true. So then, as I've not gotten a little older a flaky old 17 mascara just doesn't cut it anymore. Side point: Not that I have anything against the 17 brand I hasten to add. It's part of my cultural landscape, cheap enough for teenagers and great for experimentation. I remember when it used to have a "No." at the beginning of the name. And in fact one of their eye shadows has become an absolute staple for me: 17 Solo Eyeshadow in Ivory Coast...ooooh it's a lush neutral, yet provides a perfect base for lashings of eyeliner pencil and mascara. Thus bringing me back to the mascara issue...I have quite long eyelashes, and they need something fairly thick and luxuriant. A mascara that is too watery or thin just doesn't look right on me. 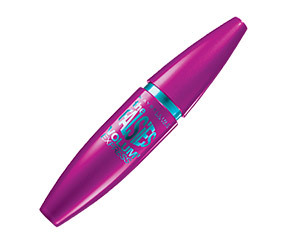 The best-selling Maybelline's Great Lash mascara for example...YUK, absolutely hideous on me. So that's why I'm so happy to have found this one at a decent price. Yay...happy days. I had to go Bratislava about two weeks ago. Unfortunately I didn't get to see much of the city, but the brief glimpse I did see I really quite liked. It seemed quite a lively place. Living where we do, in a slow, backwater, where all the shops close at noon on a Saturday and the town literally empties of people, this was quite welcome to me. I like quiet when I'm in the countryside, but in a city it's just unnatural. I prefer somewhere with a bit of a buzz. Anyway, one place I did visit in Bratislava was a massive mall, I can't remember the name now I'm afraid, but it was the one near Ikea. People talk about the pull of the Golden Arches, but for me it is the lure of the Green Lettering. Marks and Spencer. I used to hardly ever shop there when I lived in the UK. Underwear yeah sure. And the occasional sandwich, (I do remember an especially nice cheese and celery sandwich). Now however, I can spend hours gliding through the shop, running my fingers through the racks of clothes. I still don't buy an awful lot of clothes here, but it's weird, I enter the shop and I relax. It all feels very familiar, it feels like home! A new style of retail therapy perhaps. Even the customer service is more what I'm used to. Polite, fairly accommodating, but not over the top. And not rude for the sake of it, as I have otherwise grown used to here. So now, whenever I visit a larger city here in central Europe, a visit to M&S (if they have one) is a must. And if the aforementioned store has a food section well even better. I stock up on English Breakfast tea bags, Ploughman's Pickle, wholemeal pasta (my local Tesco has stopped stocking this!) and tortilla chips! Also, if I'm feeling flush then naan bread, indian snacks, mango chutney and those chocolate biscuits that M&S do so well. You know the type..."more chocolate than biscuit type" thing. I think they might even use that as one of their tag lines. It all feels so decadant, buying food in M&S! Imagine. Something I would never have dreamed of doing while back in the UK. But living abroad is a strange thing. When you can't get hold of "staples" the idea of value for money seriously fluctuates! Elsewhere in the store I love their toiletries, can't get enough of the shower gel and bubble bath. Also their 'South of France' range of hand wash and hand creams have the most glorious scents. 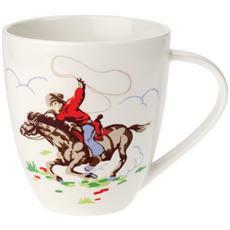 They really do remind me of my Provençal holidays. And every now and again they'll have a fab sale, and I'll get some expensive dress or skirt for a knock-down price. Then I really feel as if I'm back on the British High Street! Via Design Scouting I've just come across the Abbey Road webcam. Oh my goodness, I can't stop watching! Bunches of people huddled at the side of the road, just waiting, waiting for the perfect moment to recreate that famous album cover. It's hilarious! I've been watching one group hesitating around for at least 10 minutes so far. But that London traffic ain't never gonna stop for you my dears. Looks like they've got a nice day for it today mind! Caught up with the latest episode of Doctor Who yesterday. Episode 4...The Doctor's Wife...goodness me, what a stormer. Seriously, awesome! The TARDIS in female form, and given a voice for the first time. A personality so in synch with the Doctor himself. The dialogue, witty and terrific. The achingly terrible Hello, whoever realised how sad that word could truly be. Explanation for why the TARDIS never goes where the Doctor wants it to go. Poor old Rory, sort-of-dying once again, but not really. Seeing the corridors within the TARDIS. They looked really old-skool Who, yay! 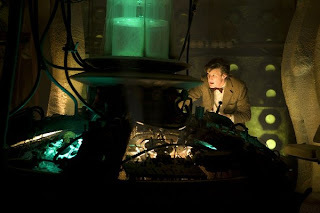 A glimpse of the "archived" console room - awww, a little moment for Ninth and Tenth Doctors. "Bunk beds, what's not to like? A bed with a ladder."